888poker NJ debuted the New Jersey Poker Classic back in November, seeing a great turnout for the online poker tournament series. 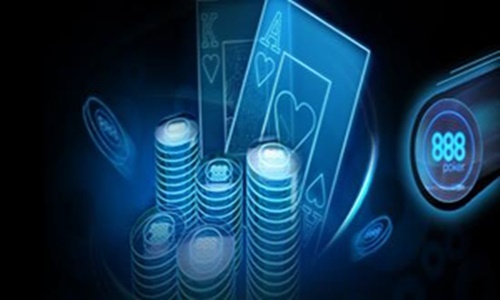 Because of its initial success, 888poker has decided to bring the series back again, this time offering more events and even more guaranteed prize money for New Jersey players. Back in November, the New Jersey Poker Classic offer 38 online events with $500,000 in guaranteed prize money. The series was such as success that the total guarantee was surpassed by more than $140,000! This time around, 888poker is providing players with 57 tournament events with a minimum of $800,000 in guaranteed prize money up for grabs. The upcoming series will begin on February 9th and run until the 25th. Players can choose to pay the direct buy-in to compete in the tournament events or choose to take part in freerolls. 888poker will be offering over $20,000 in daily/weekly freerolls until the Main Event begins. Prizes offered during the freerolls will include seats to the series events as well as satellite tickets. New players to 888poker NJ will be gifted with two tickets to the freerolls upon registration. Currently, 888poker is offering a $500 Daily Freeroll at 8pm each evening, a $1,000 Weekly Freeroll each Sunday at 7pm and a $2,500 VIP Freeroll set to take place on Saturday February 24th at 7:30pm. Players can try their hand at earning a ticket to an event via freeroll for no charge or pay the buy-in of the selected tournament to compete. The Main Event will offer players $100,000 in guaranteed prize money with more than $20,000 going to the first-place finisher. The winner of the event will also become the owner of the New Jersey Poker Classic Series gold belt. Players can find out more about the upcoming New Jersey Poker Classic by visiting the 888poker NJ site via this link.